The first big political event I have any memory of is the first People’s Movement of 1990. I was just six years old. I remember reading slogans against the king scrawled on the wall of the Panchayat Bhavan building adjacent to our house in Waling of Syangja district. The situation was tense. Trucks full of policemen descended at the town, as groups of local youth pelted stones at them. Some of us children made fliers with black cloth and shouted slogans, mimicking the political activists. Elections followed, and there was a sense of euphoria. People were made to feel that they had won. The sense of achievement was passed down to the common people, and we children also felt it. Prajatantra, as the limited democracy under the king was known, became a household term, even for us. 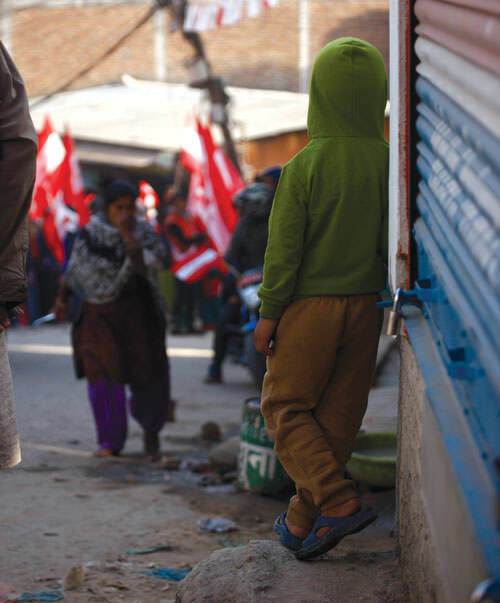 As I grew up, Nepal travelled a turbulent, but interesting, political journey. We lived through a limited democracy, and a limited armed struggle that ended in an unfinished communist revolution at a time when communism was failing the world over. Finally we attained Loktantra: democracy without the monarchy. Nepal spent 30 years under the direct rule of the king in the name of the Panchayat system. Another decade and a half has already been invested in formalising an inclusive democracy without the monarchy. Through struggles, debates and conflicts, a clear political path seems to be finally emerging for Nepal. Elections say a lot about a society. In Nepal’s case, elections clearly display the imperfections of the political system. It makes sense to study the making of the elections in order to identify what our leaders and activists should be focusing on. If we consider the agenda, the two elections for the Constituent Assembly were remarkable. Issues of identity, social inclusion and representation dominated campaigning in the first CA election, but the major driving force was the need for peace. Nepalis had experienced the pain of conflict for a decade, and they wanted an end to it at any cost. The Maoists were most suitably placed to cash in on that desire. The second CA elections were a little different: issues of identity were already sidelined, and most the candidates focussed on local development. The first CA had failed, and the country had been operating under an interim Constitution for more than six years. Although the priority should have been constitutional issues, people were jaded, so the parties promised development instead. The local elections earlier this year finally helped to realign the political focus from grand narratives to real issues. They also signalled an end to the uncertainty that characterised the transition period. ‘Prosperity has peaked’ was the common theme of the main political parties. Building upon the local elections, the present polls are also focusing on prosperity. This clear common agenda of all the political parties reflects the rising aspirations of the people. It also corroborates their rising economic status. The middle class in Nepal is growing fast despite the uncertain political era we have gone through. Although there is a broad consensus on the need for prosperity, concrete details of policy shifts are rarely revealed by the major parties. How elections are being fought and won speaks a lot about how we will be governed for the next few decades. We are hearing many haphazard promises without plans to support them. There is little or no culture of discourse or debate between the candidates, and there are no platforms for questioning them on policy issues. Even when debates are organised, candidates arrogantly do not turn up. This shows that leaders are not prepared to lead and as a result, people are hesitant to select them, knowing they are apt to take power for granted. The forthcoming elections are the first under the new Constitution, and it’s probably too early to start whining about imperfections. But elections are at the centre of the whole democratic system: they institutionalise the transfer of power, set the entire process in motion and also create role models for society. A political journey, of an individual, a party, a society or a nation, is literally walked from election to election. They shape the future in a democracy. Therefore it makes a lot of sense to make an extra effort now in order to safeguard our political future.